A smart alternative to bulky over-ear headphones and tangly ear buds anytime you’re relaxing in a high back outdoor chair. SunTunes™ is a Patent Pending "near ear" design that provides you with a private audio experience that is commonly enjoyed with in-the-ear & over-the-ear technologies, but without the need to wear anything or shut your surroundings out. No other audio technology can deliver this, including an out loud/portable speaker, as music is projected and can not be enjoyed privately. 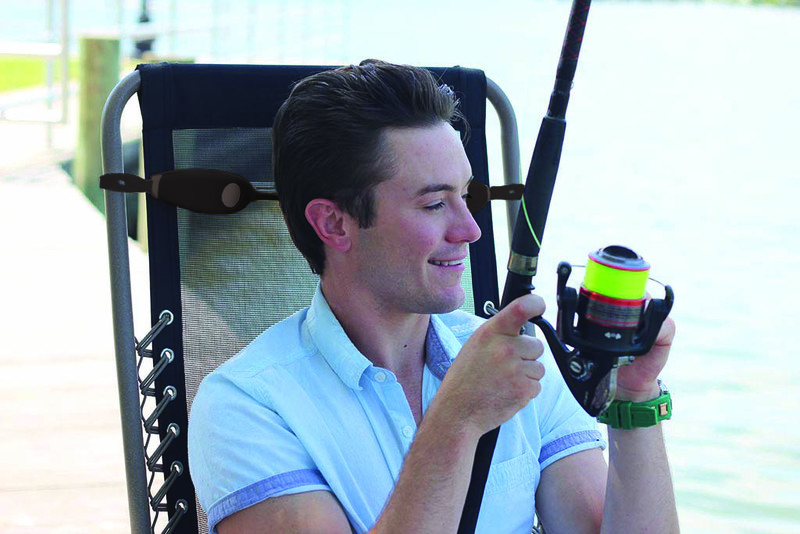 A smart alternative to bulky over-ear headphones and tangly ear buds anytime you’re relaxing in a high back outdoor chair. SunTunes™ is a "near ear" design that provides you with a private audio experience that is commonly enjoyed with in-the-ear and over-the-ear technologies, but without the need to wear anything or shut your surroundings out. No other audio technology can deliver this feature, including an out loud/portable speaker, as music is projected and can not be enjoyed privately. High quality sound without the high price! We leverage the fact that sound is directional, and that the quality and level of sound can be controlled by simple proximity. With SunTunes™, the two speakers are positioned behind the head and angled toward the ears resulting in stereo sound heard mostly by the listener, or boost the volume and share with the person next to you or a group. Since SunTunes™ provides BOTH private music & projects music to others, we further distinguish ourselves from any other audio technology. High quality sound without the high price! We leverage the fact that sound is directional, and that the quality and level of sound can be controlled by simple proximity. With SunTunes™, the two speakers are positioned behind the head and angled toward the ears resulting in stereo sound heard mostly by the listener, or boost the volume and share with the person next to you or a group. 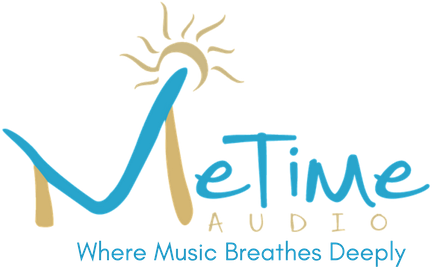 Since SunTunes™ provides BOTH private music and projects music to others, we further distinguish ourselves from any other audio technology! Simply mount to any high back chair with the stretchable/adjustable silicone strap and pair to your phone or any other Bluetooth® enabled devise. 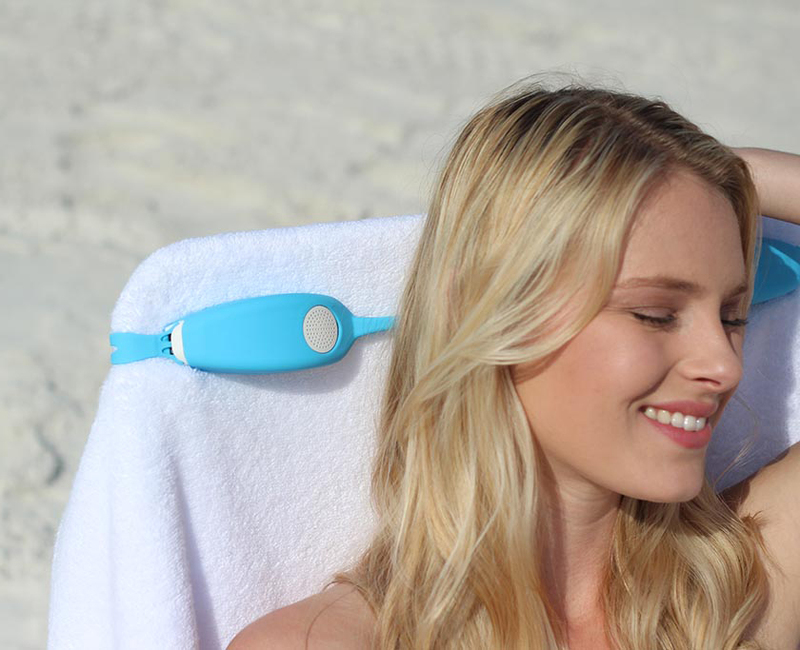 The mounting strap can also be removed completely to allow SunTunes™ to be used behind the head when sunbathing on a towel instead of a chair, or place it around your neck and take a walk on the beach with your favorite music playing. Pair SunTunes™ to your mobile device and select your playlist. It's that simple! The unit is water, sweat, & sand resistant (IPX6 rated). The silicon skin is hypo-allergenic, and will not get too hot in the sun. 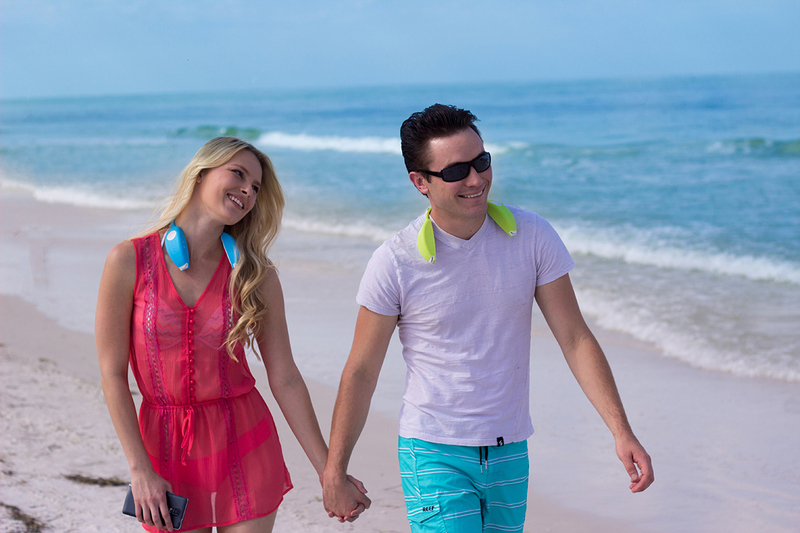 Listening to music at the beach with traditional technologies can become an issue due to sticky, sandy, wet fingers, but SunTunes™ distinctive hands & ears-free design, eliminates these frustrations so music can be enjoyed hassle-free, the way it should be. When at the beach or pool the elements of water, sand, sweat and lotion can become an issue when listening to music with mainstream methods due to sticky, sandy, wet fingers. But SunTunes™ distinctive non-wearable design, makes the product virtually hands-free, eliminating these frustrations so music can be enjoyed hassle free, the way it should be. 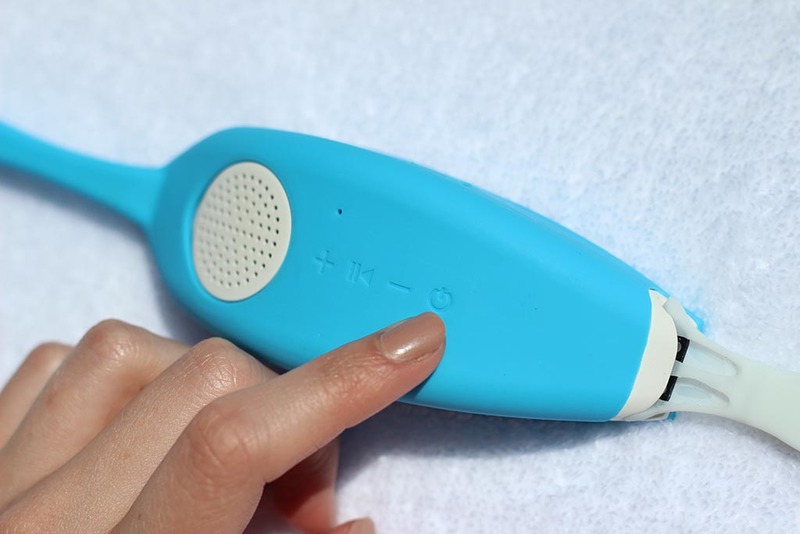 The silicon skin is also hypo-allergenic, and will not get too hot to lean on from a day of fun in the sun, and the unit is water (IPX6 rated) and sand resistant. SunTunes™ isn’t just for the beach or pool. The park, backyard, fishing spot, camping or lakeside fire pit are just a few of the places to enjoy SunTunes™. Choose your favorite oasis, and disconnect completely or stay connected with the integrated mic to make and receive phone calls. 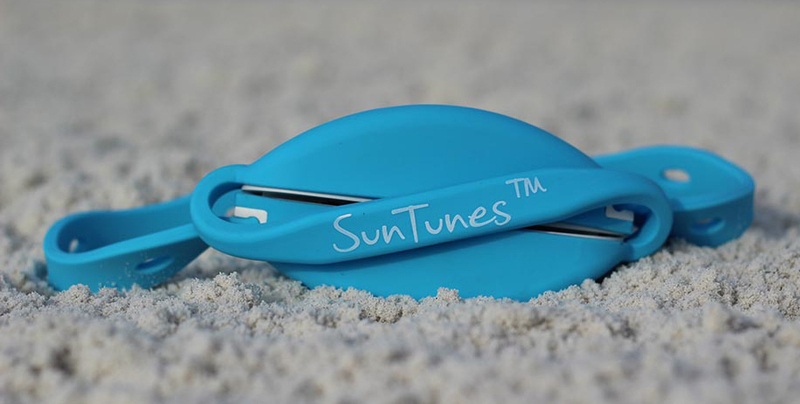 Use SunTunes™ alone or with someone. Simply pair one or sync two together to a single mobile device, to share your playlist, audio book, or listen to a podcast together. Uses Bluetooth® 4.1 technology. Tones and voice prompts provide power on and indicators to talk you through Bluetooth® pairing. Sling SunTunes™ around your neck and do light activities such as walks, the stationary bike, chores around the house from room-to-room, cooking, studying, or working in the office. 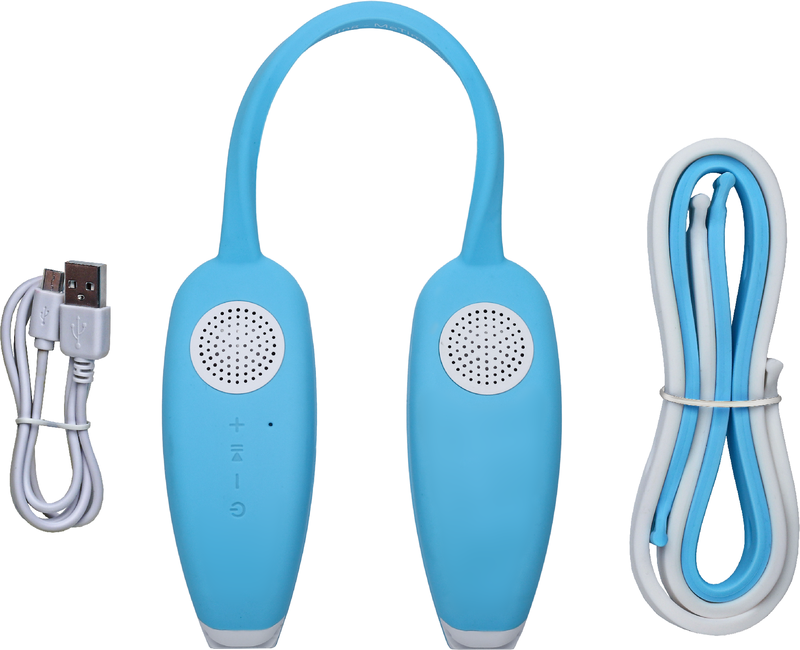 Creates a sphere of sound around your head that follows you when on-the-move, without shutting out the outside world. A Growing Concern in Audio: Long term loud music above 85 dB going directly into the ear can lead to hearing loss or tinnitus years later. So give your ears a break periodically with SunTunes™ and enjoy high quality sound without compromising health. SunTunes™ comes with some unexpected benefits. It conveniently keeps your towel attached to the chair, making it ideal for cruise ship vacations and windy days. 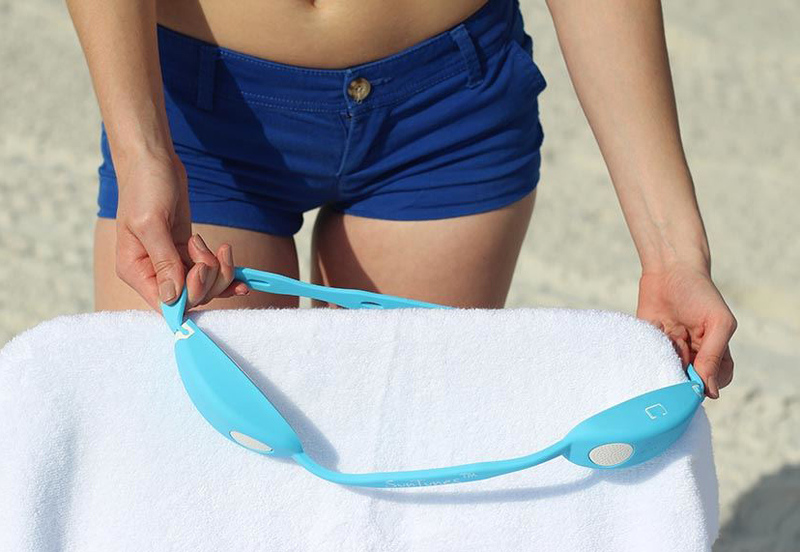 You can hook your sunglasses on the strap, so they don’t land in the sand when you go for a swim; and most importantly, it eliminates those unwanted earbud and headphone tan lines that we all know are not cool! Long life rechargeable Lithium-ion battery will last on a single charge up to 14 hours (@ 50% volume) between USB charges. Actual battery life will vary with use, settings and environmental conditions. Charge time is approximately 4 hours for a full charge. Music can be good medicine and greater health to your mind. Aristotle and Plato both wrote about the healing powers of song. 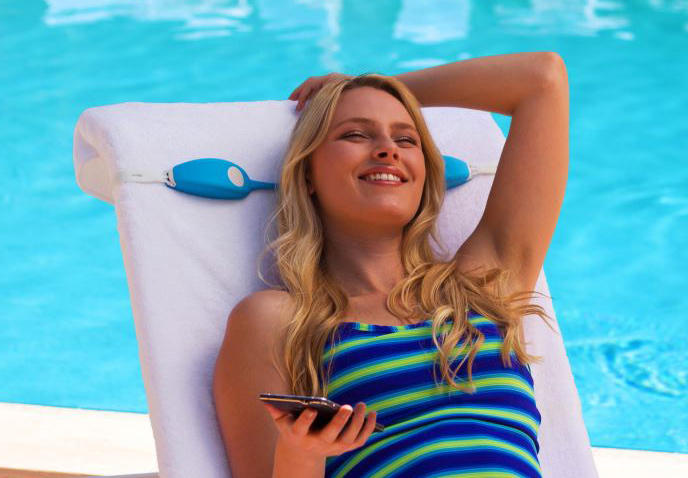 So the next time you want to unwind, disconnect, and nourish your physical body, bring along your mobile device and SunTunes™, lean back, and enjoy! Music can be good medicine and greater health to your mind. Aristotle and Plato both wrote about the healing powers of song. 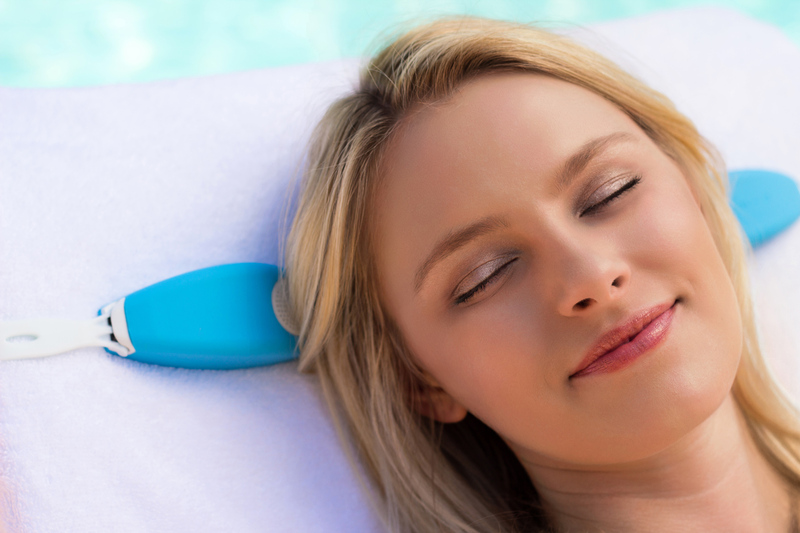 So the next time you want to unwind, disconnect, and nourish your physical body, bring along your mobile device and SunTunes™, lean back, and relax! High quality stereo sound with ambient sound benefits. Adjustable volume allows you to select the level of audio output you want to hear, and the level of surrounding ambient input you want to hear to deliver directional, crisp, clean audio. Bluetooth® 4.1 technology. “Single” or “Shared” Mode pairing capability. Pair a single SunTunes alone or sync two SunTunes together to a single mobile device, to stream music. Mobile range of play is up to 10 meters (30 ft). NFC enabled to assist with easy pairing (works with Android, Windows Phone, and BlackBerry 10). Tones and voice prompts provide power on and indicators to talk you through Bluetooth® pairing, making it simple. SunTunes™ remembers the 8 most recent devices you’ve used, so reconnecting is made easy. Long life rechargeable Lithium-ion battery lasts up to 14 hours (@ 50% volume) between USB charges. Actual battery life will vary with use, settings and environmental conditions. Charge time: approximately 4 hours based on charger. Recharge SunTunes with standard USB power sources. Wirelessly compatible with most mobile devices having Bluetooth® technology – Smartphones, tablets and other devices. Integrated Microphone for speakerphone functionality, allowing you to make and receive calls using Phones that support Bluetooth® Hands-Free Profile (HFP1.5). Choose from 3 attractive color options: Aqua, Key Lime & Sunshine. High quality stereo sound with ambient sound benefits. Adjustable volume allows you to select the level of audio output you want to hear, and the level of surrounding ambient input you want to hear to deliver directional, crisp, clean audio. Ear Safe™ decibel level no higher than 85dB. Choose from many attractive color options.